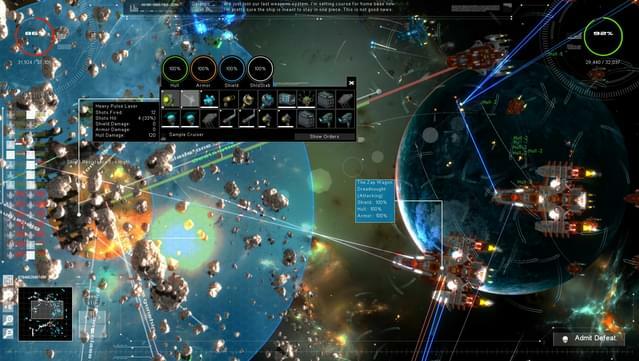 Have you ever wanted to be admiral of a huge, sprawling space battle-fleet of your own design? 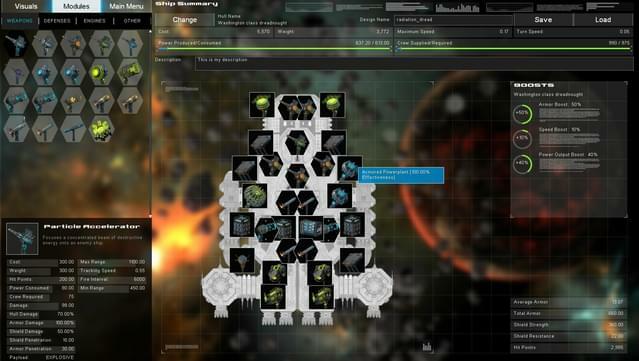 Ever wanted to design a fleet of battle-cruisers so powerful they can rip all who oppose them into space-dust? 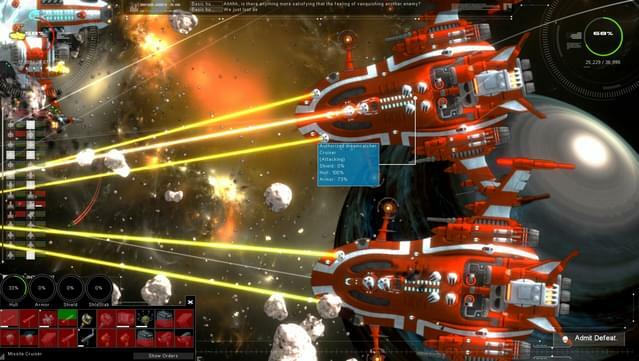 Ever wanted to build a battleship with purple rotating radars and 64 engines? 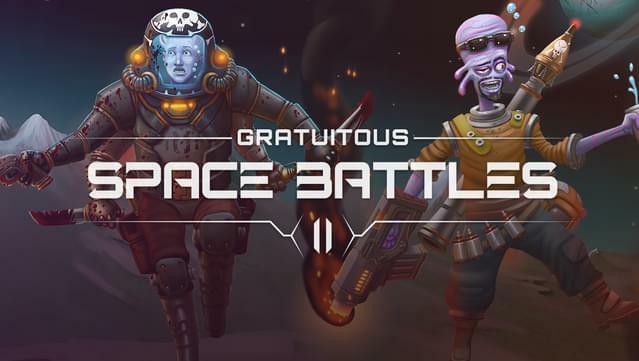 Well we have good news for you... Gratuitous Space Battles is back! 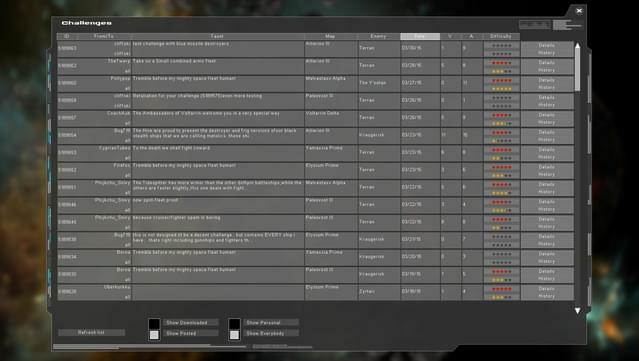 and it's approximately 50,000 times more gratuitous than before. 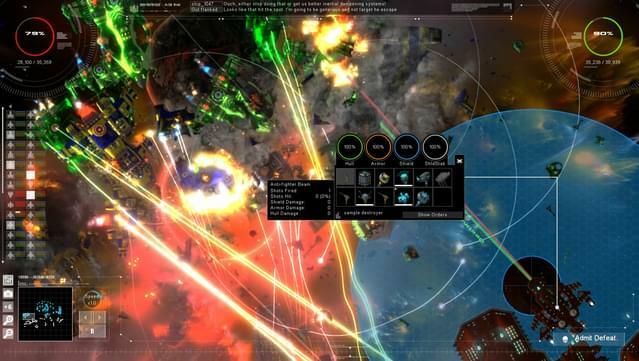 A completely new ground-up rebuilding of the custom 'Gratuitous Engine' gives the game a completely new look, with beam-lasers 10x as 'beamy' as explosions 10x more gratuitous. 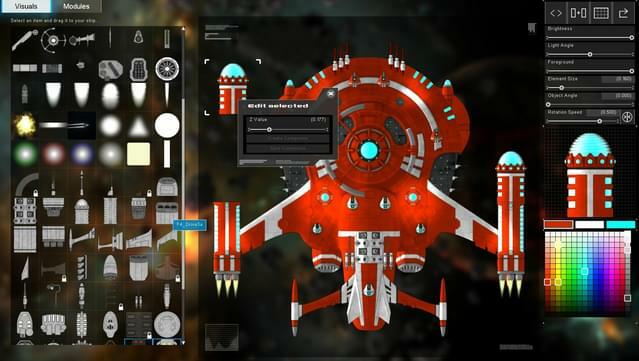 You now have complete control over the appearance of your ships, and can build them from a base hull and a bunch of adjustable visual components so you have control of both the composition AND the looks of your deadly starships. 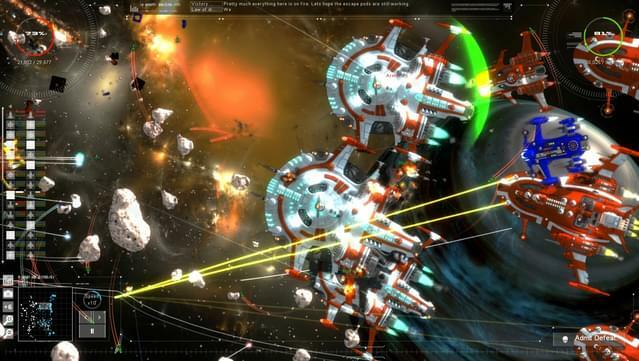 GSB2 retains the core gameplay of the original. 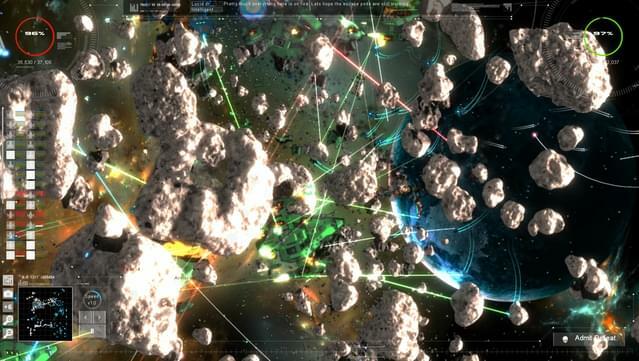 This is NOT a standard RTS game, but a management/simulation game about building space fleets and giving them orders. You aren't the dumb schmuck who actually flies into battle and gets lazered. Leave that to those patriotic and keen young dudes from the outer-colonies. Nope, your job is as supreme commander in chief. 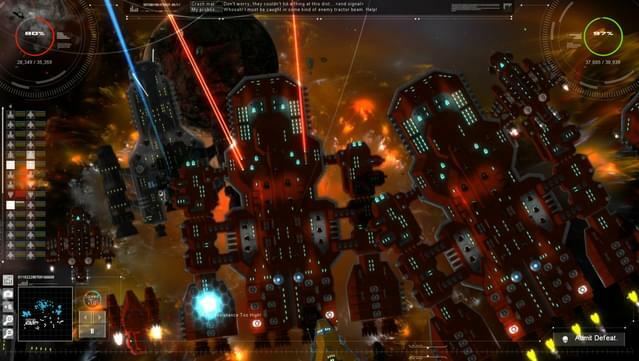 Sit back at fleet HQ and watch the fireworks as you reduce the enemy to space-dust. 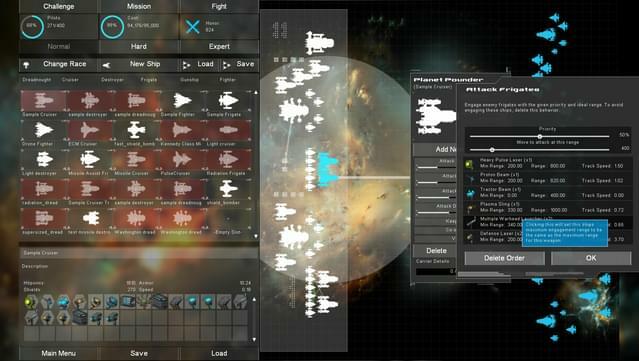 Using it's amazingly asynchronous multiplayer online 'challenge' system, GSB2 lets you put together a whole fleet and upload it, orders, formations and custom ship designs in one, up to a server where fellow GSB2 players can download it and pit their own fleets against it in glorious combat. 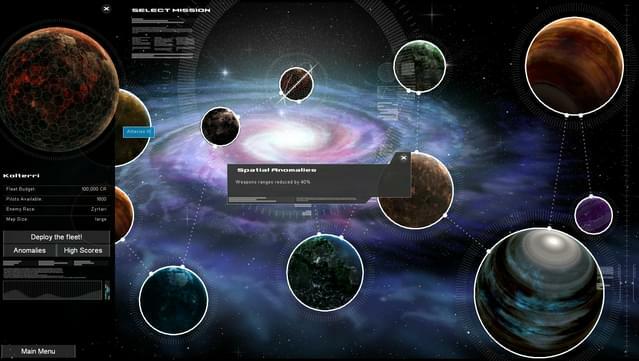 Design each spaceship both visually and in terms of internal components. 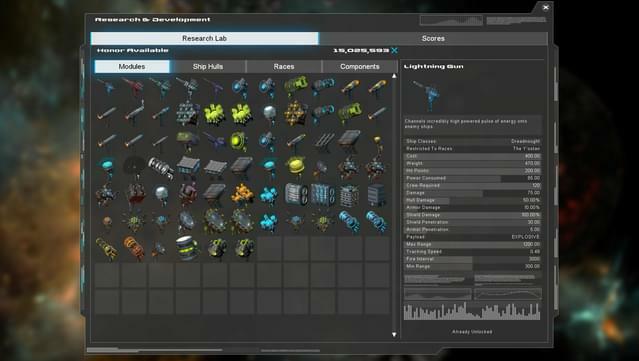 Completely new purpose built graphics engine. 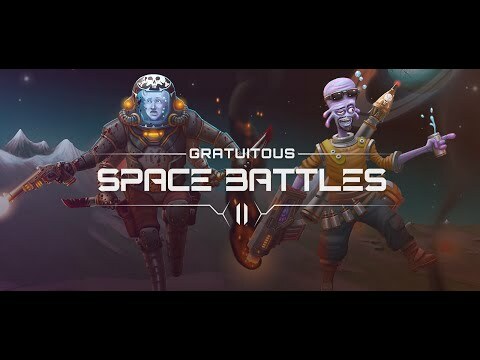 Unique 'hands-off' battle mode makes the game play like a sports management simulation with space fleets!